Extending over 21,812 km2, both Tsavo East and West form the largest conservation area anywhere in Kenya, and protect significant populations of all the Big Five. 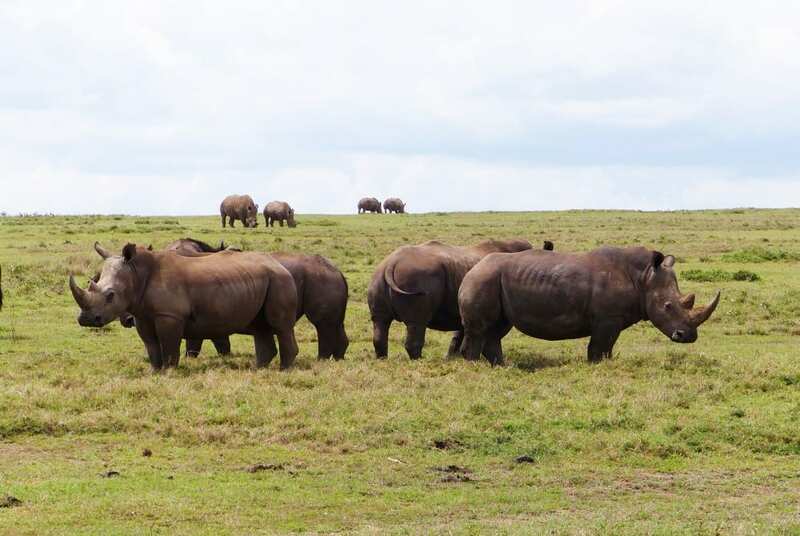 Despite this, the parks are less popular than the likes of the Masai Mara and Amboseli, due to the relatively low wildlife densities and difficulty of spotting animals in the dense acacia woodland. Separated somewhat arbitrarily by the main road between Nairobi and Mombasa, the two parks are nevertheless quite different in character. 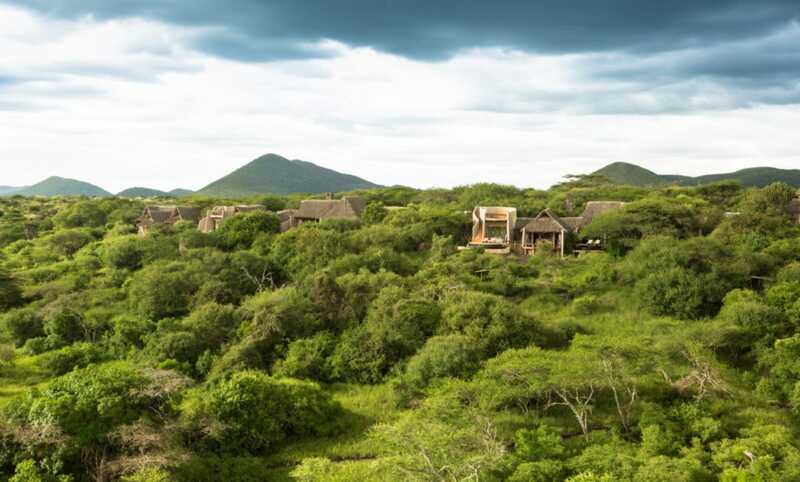 Tsavo West protects a volcanic landscape of jagged black outcrops, solidified lava flows and tangled acacia woodland overshadowed by Kilimanjaro on the southwest horizon. The red-earth plains of the larger and less developed Tsavo East have stronger affiliations with the semi-arid badlands of northern Kenya, despite being alleviated by the presence of the perennial Galana River. Both parks have a untrammelled wilderness atmosphere that will appeal to repeat safari-goers, with the western component being marginally better for conventional Big Five viewing, while its eastern counterpart ranks higher for localised antelope and bird species associated with northern Kenya. The Shetani Lava Flow is the most spectacular of the many stark volcanic landmarks that scar the northern circuit of Tsavo West. A 200-year-old stream of jagged tar-coloured solidified magma, its Swahili name means ‘Devil’, and it is avoided by locals, whose oral traditions recall that many people and animals were buried alive beneath the fast-flowing fiery lava when it erupted from the nearby Chyulu Hills 200 years ago. At once immensely beautiful and a fascinating geological phenomenon, the oasis-like Mzima Springs is fed by a sparkling clear subterranean stream that rises on Kilimanjaro before being filtered through the porous volcanic rocks of the Chyulu Hills. The main source of water for Mombasa, Mzima supports a lush groundwater forest of palms and fever trees, plenty of woodland and aquatic birds, and a few pods of hippo that can sometimes be observed underwater from a submerged observation chamber. Created in 1986 to protect the Tsavo West’s last few black rhino, Ngulia Rhino Sanctuary is enclosed by a tall electric fence and guarded by a dedicated anti-poaching unit. The sanctuary has five waterholes and now supports a population of around 70 black rhinos (roughly one per square kilometre), which means chances of spotting this elusive browser are very good. 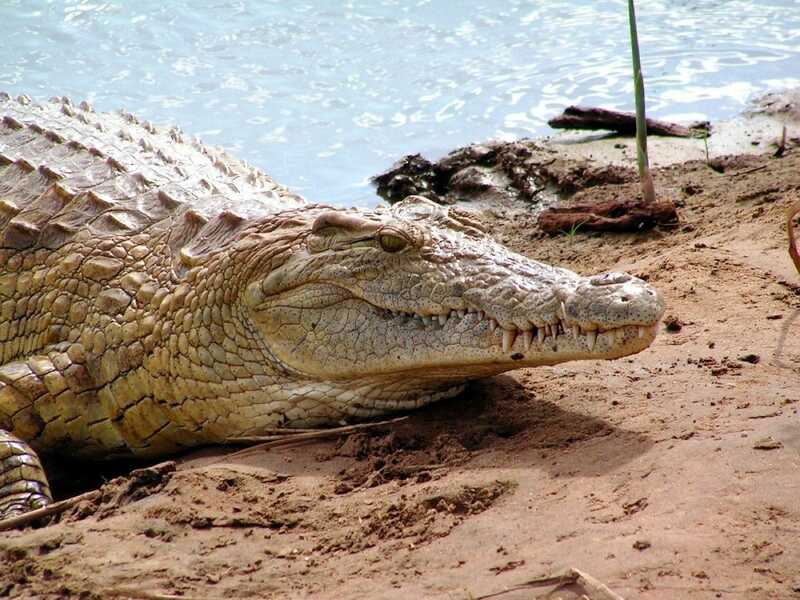 A shallow sump-like waterbody set in the far south of Tsavo West below Tanzania’s North Pare Mountains, Lake Jipe attracts plenty of elephants and supports large numbers of hippo and crocodiles. Boat trips offer an opportunity to see localised aquatic birds such as Lesser jacana, Pygmy goose and Black coucal. 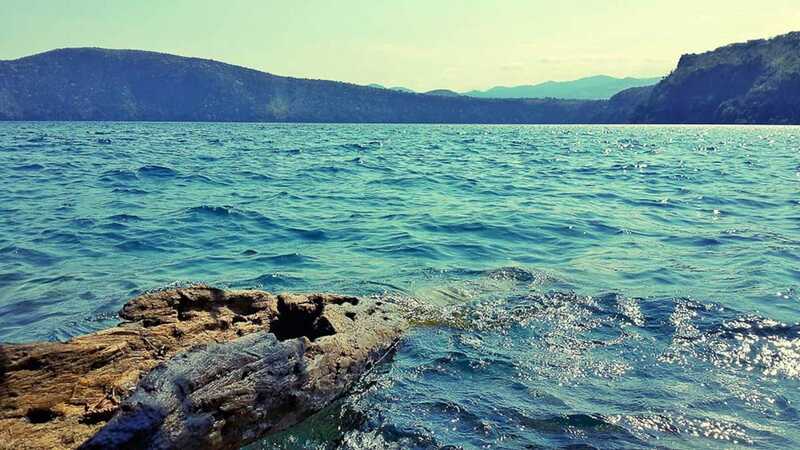 Lake Chala is a translucent crater lake situated on the southern foot slopes of Kilimanjaro bordering Tanzania. Almost 3 km in diameter, yet practically invisible until you topple over the rim of the caldera wherein it nestles, the lake is particularly beautiful when Kilimanjaro emerges from the clouds on the northern horizon. Rising to 2,208 m on the border of Tsavo West, the isolated Taita Hills is the only Kenyan component of the Eastern Arc Mountains, a series of 13 massifs whose ancient forests are known for their high level of endemism. It is renowned among birdwatchers as the only place to see the Critically Endangered Taita thrush, along with Taita apalis, Taita white-eye and Taita falcon. Sharing an unfenced border with Tsavo West, Taita Hills Wildlife Sanctuary lies on the scrubby plains below the mountains for which it is misleadingly named. 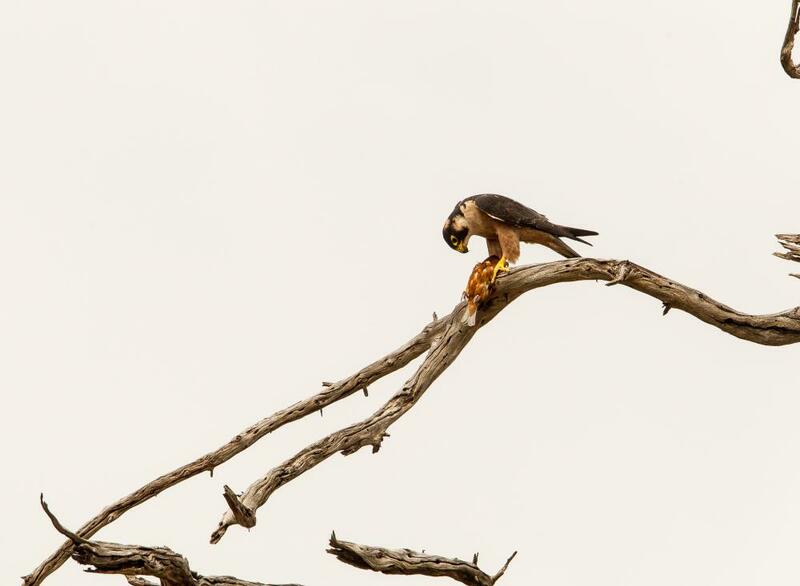 It is most often visited on a standalone overnight safari package from the coast, inclusive of day and night drives - the latter offering a good chance of spotting secretive nocturnal species such as leopard, White-tailed mongoose, Honey badger and genet. The quirkily stilted Salt Lick Lodge is wonderfully positioned for in-house elephant viewing. An important focal point for game-viewing in Tsavo East is Aruba Dam, which was constructed on the Voi River in 1951 and forms the only permanent water source in the vicinity. Lions are often seen resting below the trees around the dam, while the road running west towards Voi Gate is a good place to look for cheetah, impala, Coke’s hartebeest, zebra and gazelle. The arid plains running north towards the Galana River pass through scrubby plains that support several localised dry-country creatures, notably gerenuk, Fringe-eared oryx, Somali ostrich, Golden pipit, Vulturine guineafowl and Golden-breasted starling. 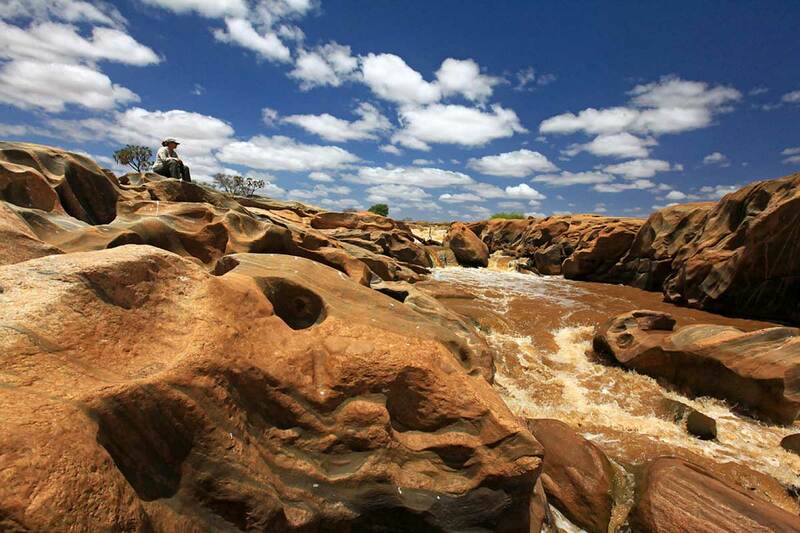 The most significant landmark on the Galana River as it runs through Tsavo East is Lugard Falls, a sequence of rapids that flow across a bed of black dolomite striated with white quartzite rocks. A good hippo pool stands a short way downriver of the falls. 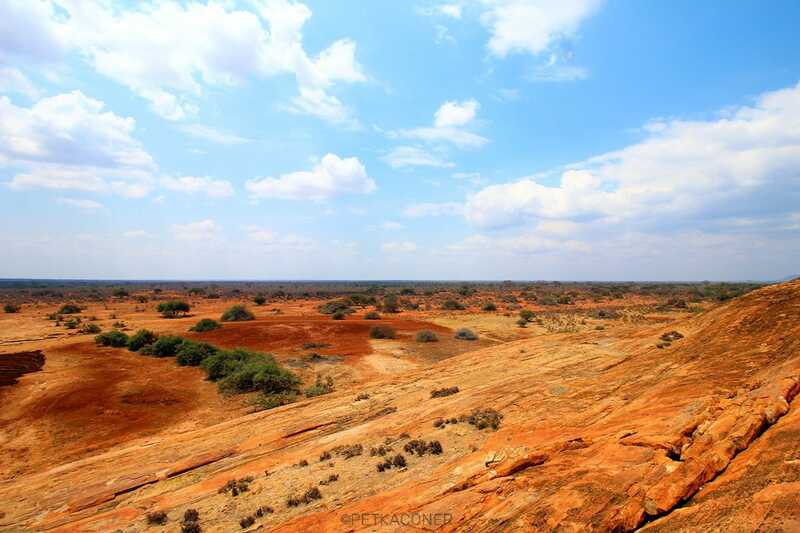 A major landmark in Tsavo East, the 1.5km long Mudanda Rock - East Africa’s answer to Ayer’s Rock - overlooks a waterhole where elephant and buffalo gather to drink and wallow, and leopard sometimes emerge towards dusk. Road access to both Tsavo East and West is straightforward, since the two parks are bisected by the Nairobi-Mombasa highway, which also forms the border between them. Tsavo West is often incorporated into a southern road safari out of Nairobi, or running between Nairobi and the coast, together with Amboseli. Tsavo East is perhaps more often visited as a standalone road excursion from coastal resorts such as Malindi or Mombasa, as is the Taita Hills Wildlife Sanctuary. 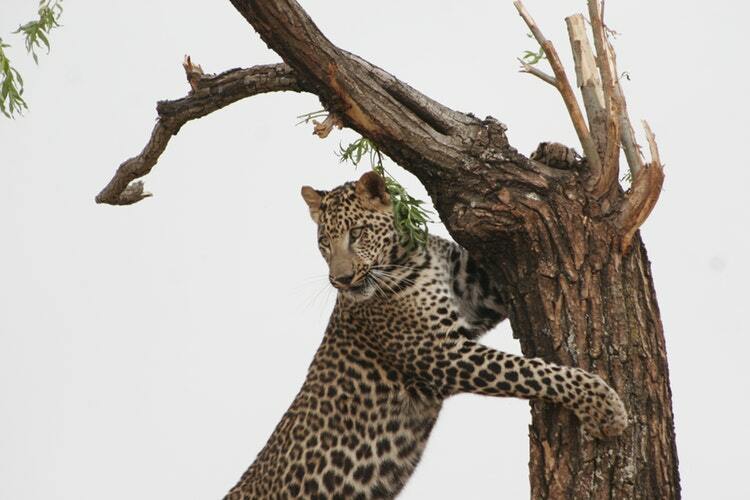 In all instances, it is best to make arrangements with an experienced safari company, though self-drive out of Nairobi or Mombasa is a possibility too, and both national parks are serviced by charter flights. Tsavo East and West and Taita Hills Wildlife Sanctuary are all served by a selection of upmarket lodges and tented camps. Budget accommodation can be found in the towns of Voi or Mtito Andei, which stand alongside the Nairobi-Mombasa highway close to the main gates for Tsavo East and West respectively.